In February 2014 Cariss commenced her new nursing position as a Community Psychiatric Nurse working with Children, adolescents and their families. Working with young people and being able to give them the very best of her advice and experience was something that Cariss excelled at, and was very quickly recognised by her peers and managers as being an excellent CAMHS Nurse. Needless to say, our family was devastated and all our lives turned upside down when Cariss was diagnosed in April/May 2014 with a grade 3 oligoastrocytoma brain tumour. Cariss had not been ill, but had noticed on a number of occasions 'Deja vu' symptoms along with a strange smell. Cariss followed her instincts and went to see the GP. Fortunately for us the GP was 'on the ball' and referred Cariss for a scan which showed a brain tumour in the right temporal lobe. A referral to the Queen Elizabeth Neuro Surgical Team in Birmingham followed. Cariss had her first craniotomy and de-bulking operation in June 2014. This was followed by six weeks of radiotherapy and six months of chemotherapy at New Cross Hospital, Wolverhampton. Throughout this time, Cariss never once asked 'why me'. Instead she said she was lucky that she had such good friends, family and her beloved cat 'Rosie' to help her get through this. 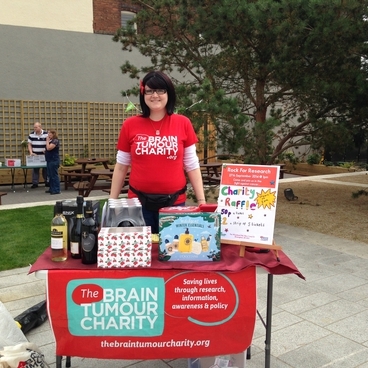 During her time off work Cariss kept busy by organising fund raising events for The Brain Tumour Charity, which she continues to do. With the help of friends, family members and family friends Cariss is always well supported at these very well received events. 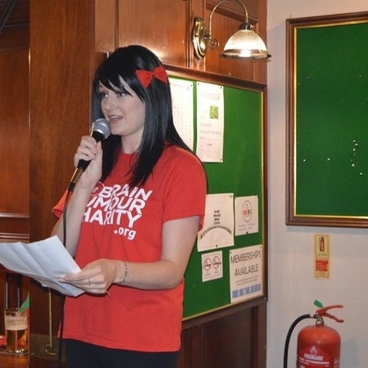 So popular is Cariss, and enthusiastic about raising awareness and fundraising for The Brain Tumour Charity that she was invited to become a Community Ambassador – a role which she enjoys immensely. To say that we are proud of Cariss is a huge understatement. The way Cariss has tackled her illness with courage, strength and dignity is a lesson for us all. Her positive outlook, sense of humour and love of life is inspiring to so many of her followers on social media. We decided to set up this Supporters Group entitled Cariss's Cure Crusade to continue raising money for The Brain Tumour Charity in the hope that one day with funding and further research, brain tumours will be eradicated for ever. Cariss returned to work in April 2015 and was closely monitored by the Oncology department by having regular scans. In August 2017 we were informed that the tumour showed some re-growth and Cariss underwent a further craniotomy and de-bulking on 4th September 2017. The results of this showed that the tumour was now classified as a Glioblastoma Multiform 4. Cariss was required to commence chemotherapy indefinitely and to continue with two monthly scans. During a routine review consultation in February 2018 we were informed that yet again that there was regrowth of the tumour and another referral to the Queen Elizabeth Hospital Birmingham was required. Cariss is booked in for a third craniotomy 19th March 2018. Cariss has received outstanding care from the NHS from both Professor Cruickshank and Dr Allerton and their Teams at The Queen Elizabeth and New Cross Hospitals. 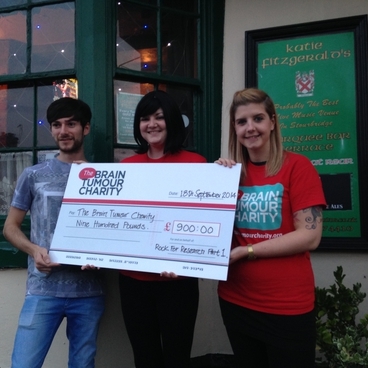 In addition to this, The Brain Tumour Charity has also been there supporting Cariss and us from the outset. Since 2014 Cariss has most certainly been on battling a Crusade of her own and if the love of her family, friends, support from her care Professionals and The Brain Tumour Charity can get her through this then we will!